*This is not sponsored, I bought it with my own money. All opinions are my own. When I'm in need of relaxing, I love nothing more - well almost nothing more than filling the bath up and popping on a lovely face mask and closing my eyes for a while. 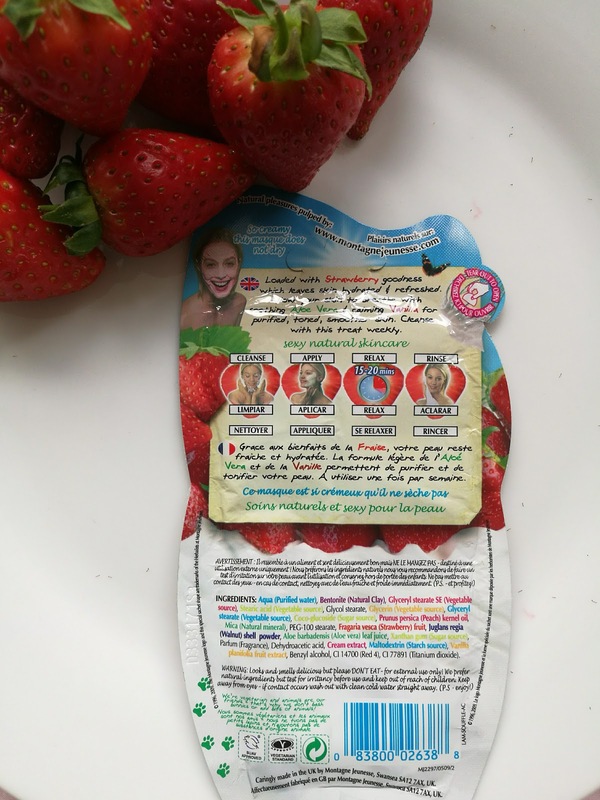 In the top drawer of my dresser you will find a stash of face mask packets that I bought, so I decided to try one out at the weekend & I chose 7th Heaven's Strawberry Souffle Mask! Strawberries are my favourite, so of course I was going to try this one first. These masks are so easy to apply, I simply cut the whole packet open at the side and use my hands to warm the mask onto my skin avoiding my eyes, it's good to leave space between the eyes because the skin under them is too delicate for a mud mask, this can promote sagging of the delicate skin. But, thankfully this is a really light mask, so a touch close to the eyes was ok. The scent is gorgeous, not overpowering or heavy. A gentle sweetness that's quite yummy. Packed with aloe vera that soothes, vanilla that calms and strawberry that refreshes and hydrates the skin for a smoother result. The application of this is so light and easy, the product works over the face in no time. You just slap it on and lay back in the bath - if you're like me or while you're reading a book or watching a movie. 15-20 minutes and your done to rinse it off. So quick and easy, perfect for any lifestyle. After a few days, my skin still felt soft, so I would recommend these to anyone who loves a good face mask!! With that, I give this mask a Sizzling Heart ♥ because it was fantastic and my skin felt great. I had no problems during or after. And it's so inexpensive, I love great value. Have a great day dolls! Sounds delicious!!! And you look pretty as a picture with that mask on. 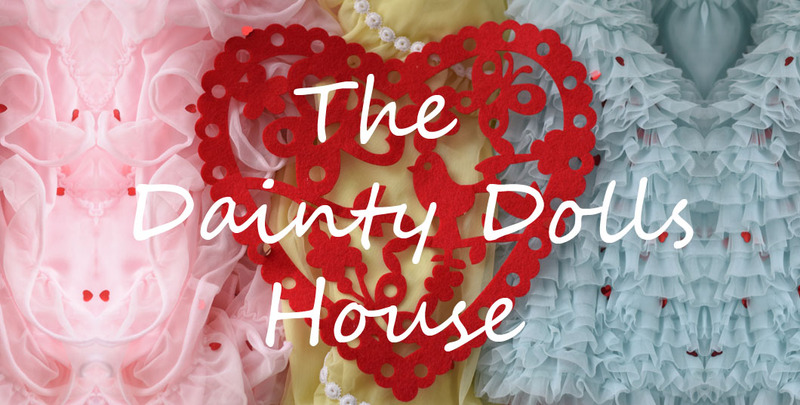 :) Love the new look of your blog!! you look so young in this photo, you seem a teenager really:). This masque sounds great, good to know that the scent is just right and not overpowering. I've seen these masks everywhere but the last time I tried one was yeeaars ago. After reading your lovely post I'll probably give them a try. I have never really thought of their benefits. Didn´t you feel tempted to it it? This mask sounds lovely! 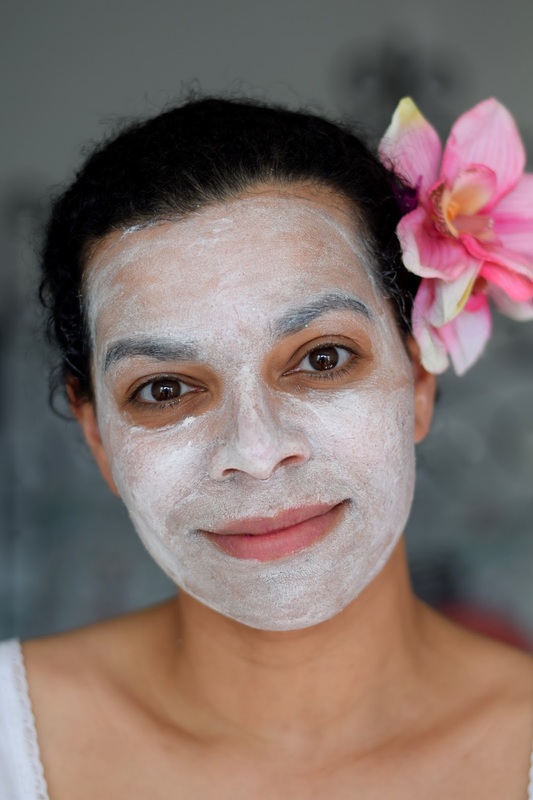 Masks are such a great way to treat your skin. I love this brand of mask. I used to get them all the time when I was younger! 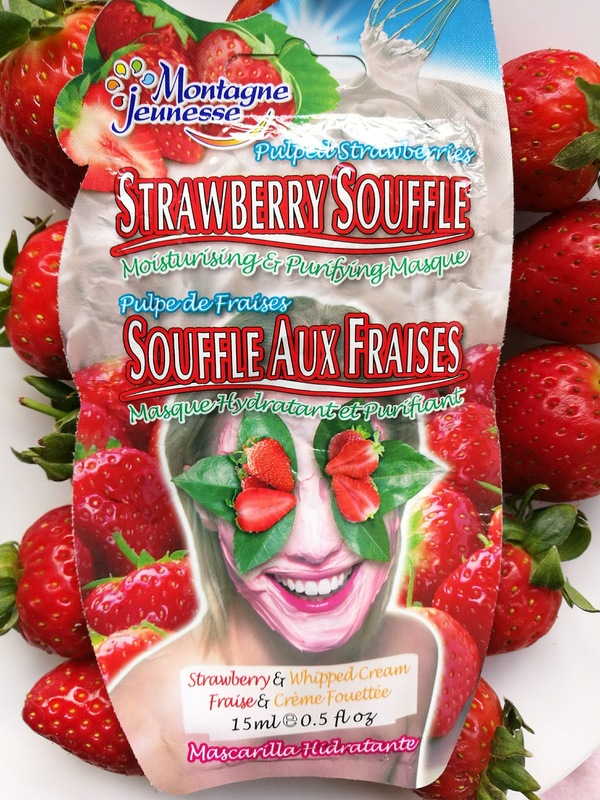 I have tried a Montagne Jeunesse mask before and totally loved it. The ingredients in this one sound so good. Great review, Doll!